Through Circus City's partnership with Circus Futures, it's our pleasure to present a rather special late addition to our festival programme. 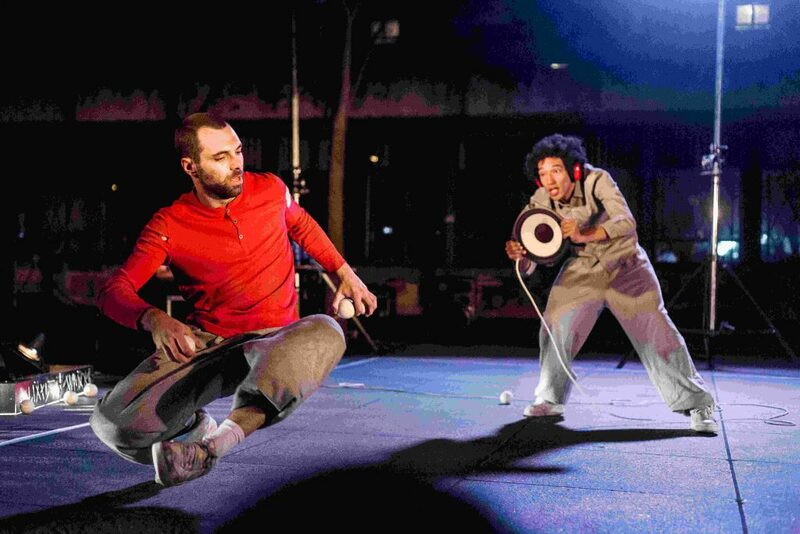 Flaque is a witty and deadpan expression of Cie deFracto's passion for juggling. In every moment they are working with it as a kind of physical music driven by rhythm combined with dance and absurd humour. Their bodies drop more often than the objects do and the desire to catch is the impulse behind every action. Their movements are precise, flexible and display dazzling vitality. This is juggling as it should be: challenging, fresh, raw and full of finesse.